Every manager needs time and patience from supporters, but it’s not necessarily a free pass, nor should it be treated as one. It’s clear Marco Silva is currently walking a tightrope at Everton as far as supporters are concerned and whilst at boardroom level he’ll likely be given at least another summer window to bolster a quagmire of a playing squad barring complete disaster, there is a minimum requirement that needs to be met in order for him to access the Goodison coffers. 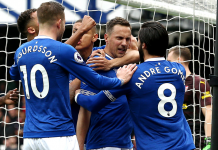 Context, here, should not be forgotten when it comes to just a 28-game tenure; Silva inherited a depleted squad that could barely muster a shot on target towards the end of Sam Allardyce’s life-sapping reign and before a now infamous mistake from Jordan Pickford in the Merseyside derby nine weeks ago, Everton’s trajectory was steadily heading north. However hard the manner of that defeat hit everyone concerned in a place it hurts most, the excuse of a hangover from such a killer blow simply doesn’t wash for a run of three league victories from 13 games and being dumped out of the FA Cup against a relegation-threatened Championship outfit. The common trait for Everton’s last three permanent managers before the Portuguese has been a painstakingly familiar one albeit in varying guises. 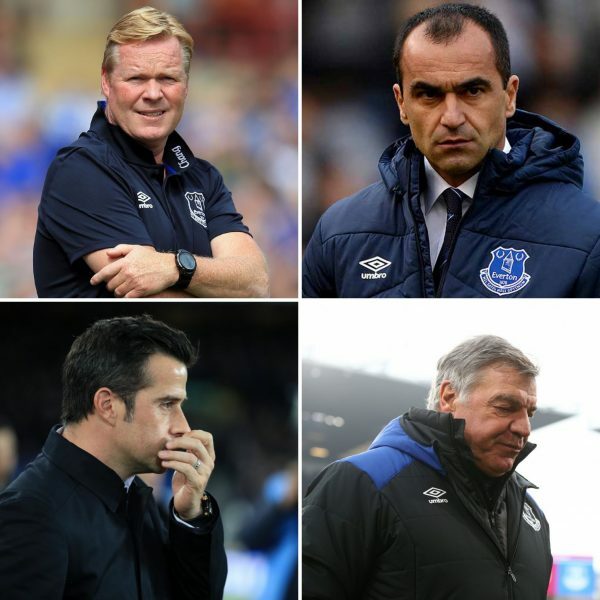 Each of the trio, Roberto Martinez, Ronald Koeman and Sam Allardyce, were all guilty of a refusal to change facets of their stewardship to the point where it became their undoing. Martinez’s stubbornness and inability to address key defensive issues saw some seriously heavy defeats, not least two humiliating 4-0 drubbings at Anfield and consecutive bottom half finishes. Koeman persisted with fielding players chronically out of position having been involved in signing several number tens, whilst Allardyce maintained a style of football he would defiantly claim was effective but drove fans to levels of apathy never before seen at Goodison. You need only see replies to his many media appearances since for clarification. Now Silva, so far it seems, is no different to his three predecessors. Stubbornness, arrogance and ego, however they manifest themselves in a manager, only really make sense following tangible success – they’ve no logical place without substance. It’s rare any of those characteristics aid progression along the way, because they all point to an inability to learn from mistakes. 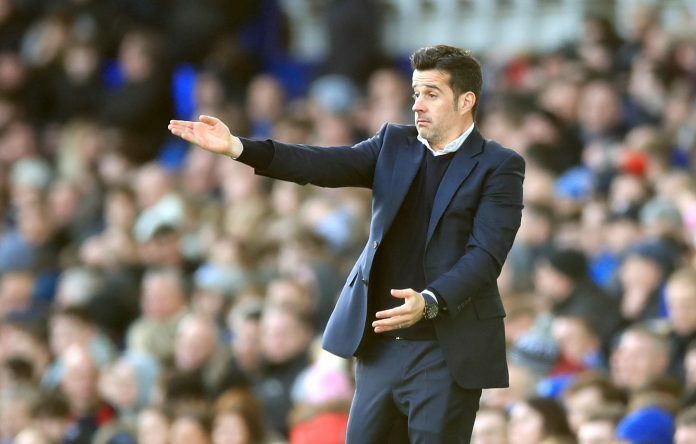 Perhaps Silva is even the worst of the quartet in this regard, as he has plenty of examples of how an immovable attitude towards an Everton manager’s work has never yielded the results demanded from the stands, certainly not for any great length of time at least. On the face of it, many fans’ views will be perceived as being contradictory to what they were saying less than six months ago. Transition and patience were the order of the day when Silva and Marcel Brands were paraded at Finch Farm, but those words only hold relevance if there’s just the slightest sign of a foundation and identity being laid in the early throws of his tenure. 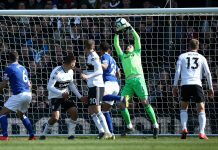 Given the rapid decline since the beginning of December and crucially, the same errors rearing their ugly heads, it’s difficult for even the most ardent of Marco Silva supporters to point to any green shoots emanating from Goodison’s hallowed turf. Yes, Marco Silva needs time, but he needs to realise and accept how important it is for his prospects at Everton to earn that time – he won’t achieve this by walking the well trodden path as the men who’ve gone before him. Next articleWith hearts and minds lost and confidence at rock bottom, is there any way back for Marco Silva?